Students looking for top universities in London will encounter a range of options as vibrant and varied as the city itself. Whether you want a specialist or multidisciplinary institution, central or more suburban surroundings, or the option to combine a flexible study schedule with your career, your chances of finding a good match in the UK capital, the number one city in the QS Best Student Cities ranking, are high. For a taste of what’s on offer, here’s a look at the 10 highest-ranked universities in London, based on the QS World University Rankings® 2019. City, University of London (formerly City University London) is the 10th highest-ranked UK university, coming 351st in the QS World University Rankings® 2019. It’s named to reflect its close relationship with The City – London’s historic financial district, also known as the square mile. It prides itself on having strong links with leading companies in this competitive district, ranging from giants of the financial services sector to media companies and medical research centers. It also marks its special links with the city by having the Lord Mayor of London as its Chancellor. City, University of London offers a broad spectrum of courses, but is perhaps best known for its Cass Business School, City Law School and the School of Health Sciences. Of almost 19,000 students, 11 percent are from EU countries other than the UK, and 27 percent are from countries outside of the EU. It became a constituent college of the University of London on September 1 2016. Named after the Victorian engineer Isambard Kingdom Brunel, Brunel University (ranked joint 332nd in the world, up 14 places) is aptly known for its engineering and design courses, but also offers a range of courses in arts, business, law, health and social sciences, information systems and sport. Again, it boasts an internationally diverse student community, with more than 12,550 students from over 110 countries. All courses are based at Brunel’s campus in Uxbridge, West London, which is just under an hour from the city center on the London Underground. As a campus-based university, it provides a complete student community, with accommodation, libraries, bars, restaurants, a sports center and green spaces all within walking distance. Birkbeck College, University of London is ranked joint 306th in the world this year and is the only one of these top universities in London that allows students to complete full-length degrees during evening courses, with all the visa and loan privileges of daytime study. Birkbeck is again located in the Bloomsbury area, close to UCL and SOAS and within walking distance of many central London attractions, and it schedules its programs with the aim of allowing students to complete a day’s work before attending class. Many students study part-time, taking advantage of the university’s flexible ethos, and are enrolled on a wide range of programs at both undergraduate and postgraduate level. SOAS is ranked 288th in the world in 2019, up eight places from last year. The university is focused on the languages, cultures and societies of Asia, Africa and the Near and Middle East – the only institution in Europe specializing in this field. Just over half of its students come from outside the UK, representing 133 countries. Like UCL and Birkbeck, SOAS is in the Bloomsbury area of London, known for its attractive garden squares, history of artistic and intellectual inhabitants (the Bloomsbury Group), and high concentration of academic resources – including the extensive Senate House Library and the British Library (the UK’s national library). Founded in 1916 as the School of Oriental Studies, SOAS now offers more than 350 undergraduate degree combinations and over 115 postgraduate programs. While many of the top universities in London are centrally located, some are a little further out. Though still within the London area, Royal Holloway, University of London is actually in the nearby town of Egham – less than an hour’s train journey from central London. Up 23 places to rank 236th in the world this year, Royal Holloway is another global university, home to almost 10,000 students, of which nearly 20 percent are from outside the EU. It offers courses in a broad range of subjects, and is particularly strong in arts and humanities (it’s ranked joint 14th for performing arts in the QS World University Rankings by Subject 2018). Perfect for students looking to combine a more suburban experience with the choice of popping into the city for nights out or day trips, Royal Holloway offers one of the most beautiful campuses in the UK. Also improving its position in this year’s ranking is Queen Mary, University of London (QMUL), up eight places to rank 119th in 2019. QMUL offers teaching and research across a wide range of subjects, including medicine and dentistry at Barts and The London School of Medicine and Dentistry. Of QMUL’s 25,332 students, around 4,000 are completing joint programs overseas in China, Greece and France. The university’s main campus is in Mile End, set along the Regent’s Canal and close to many of the recently regenerated and increasingly trendy parts of the East End – including the curry houses of Brick Lane, art galleries of Whitechapel and Hoxton, and hipster-filled bars and music venues of Shoreditch. In August 2015, QMUL announced plans to launch a free business advice scheme for UK start-ups in the financial and technology industries, which is now available as the qLegal scheme. The UK’s only university specializing in the social sciences, LSE is ranked 38th in the world in 2019. It gets an even higher position in many of the individual subject rankings, reflecting its role as a world-leading pioneer in subjects such as anthropology, politics, sociology, law and accounting. Another highly international institution, LSE boasts more than 100 languages spoken on campus. It also occupies a location close to the heart of the city in the Chancery Lane area, historically associated with the legal professions. Just to the north of the river, it’s within walking distance of the British Library, and close to the cultural institutions of Trafalgar Square and the nightlife and theaters of the West End. King’s College London is one of the largest and oldest colleges of the University of London collegiate, and is ranked 31st in the world this year. Again, this comprehensive research-led university is a popular choice for international students, who comprise 37 percent of the student body (including students from the rest of the EU), while postgraduates make up nearly 40 percent of its 29,600 enrolments. It has a particularly good reputation for courses in the humanities, law and the sciences, including health sciences. Claiming to be “the most central university in London”, King’s College London has five London campuses, four of which are fairly close together by the River Thames, near iconic landmarks such as Tower Bridge, the London Eye and Big Ben. UCL went down slightly in this year’s QS World University Rankings and is now placed 10th in the world. The university is extremely popular with international students, who account for more than 40 percent of its student body. A multidisciplinary institute, it covers a broad spectrum of subjects (this is one of the main points of difference between UCL and Imperial), and has a high percentage of postgraduate students – around 53 percent. Its faculties and teaching hospitals are all located in the heart of central London, close to the British Library and a cluster of other leading London universities – SOAS and Birkbeck are both close neighbors. The main Gower Street campus is also just a short walk from the party atmosphere of Soho and the shopping district centered on Oxford Circus. Imperial College London overtakes UCL as the highest-ranked university in London this year, retaining its position of eighth in the world. This science and technology-focused institution is known for its leadership in engineering and natural sciences, as well as having a prestigious business school and one of the UK’s largest medical faculties. As is the case with UCL, Imperial College London has a strong global appeal, reflected in very high international student numbers (around half of the student population). Its main campus is in South Kensington, not far from the city center. Students will find themselves close to the huge green space of Hyde Park, the historic concert venue Royal Albert Hall, luxury superstore Harrods, and several of the city’s biggest museums. This article was originally published in October 2013. It is updated after every QS World University Rankings® launch, most recently in June 2018. Hello Sonam!! Can i get your email id? i have some queries regarding the same. Hi Neha, you can find a range of scholarships to study in London here, and we've also listed a range of business scholarships here. Hi,I am from Bangladesh. I wanna study in London, which University is best for Computer science engineering or English literature with a scholarship...I need a scholarship very much...can anyone help me about it plz??? 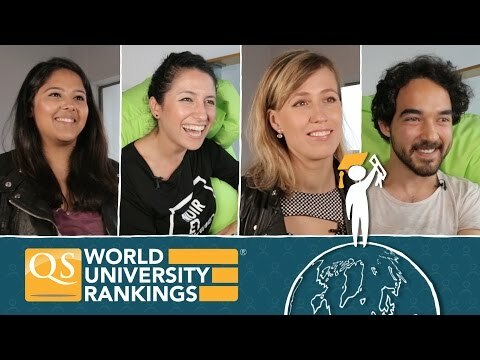 Hi Sadia, to find the highest ranked universities for computer science and English you could check our latest subject rankings (the results can be narrowed down to show only UK universities). For scholarships, please take a look at this list of scholarships to study in the UK. We've also included scholarships to study in London here. I am an MBA from India from a central University.I wish to do my MBA in event management from London with a scholarship......can you help me out with this??? Hi Maria, you can find scholarships to study in London listed here and here. For MBA advice and info, I'd recommend checking out our sister site, TopMBA.com. hellow i want to study in inLONDON someone help me ? Hello, I want to study performing arts (acting) in London or near by. There are many options so I want to find the best one. Does anyone know about this? You can contact me for detailed information..
Hi which London university is best to do a post graduation in human resource? Which universities are recommended for specialization in English grammar and syntax? Hello. Which universities are recommended for specialization in syntax? hey i wanna do b.com so which college is the best in London..? Hlw, I am going to ask you something about which is the best university to study M.Sc in (Neuroscience, Forensic science, Human Microbiology, Genomic science) in UK. And what are the selection process to enter this program and what are the exams to be given. And give the details fee structure along with online application link. London is definitely an ideal place if you want to make an academic career, or if you have an idea to take education abroad. Hi Sanchi, according to the QS World University Rankings by Subject, London School of Economics and Political Science (LSE) is the highest ranked university for law in London - you can view the latest law ranking here. Hope this helps. Hello,I am here to ask about which is the best university of International Business in U.K./London.I am from Malaysia and I am looking for bachelor in International Business Management.Thank You. Hi Chong, please take a look at our rankings by subject for business and management, with the results narrowed down to show only UK universities. You could use our compare tool to help you choose between institutions. Hope this helps. Hi.I'm looking for top business schools in England.My daughter is going to study business administration next year.she is in grade 12 now. Hi Fariba. We don't currently have a ranking dedicated to business, but you may want to take a look at our rankings of the best universities in the related areas of accounting and finance, here. This could be a good starting point to identify some UK universities of interest to your daughter. To search for UK business courses, you can also visit our sister site, QS Course Finder. I found a good site which offers sample essay at a reasonable price. My objective of wanting to use them is to get an idea of what to include in my essay. Kindly advise. You can get an idea of what to include in your essay by ensuring that you answer the question that has been set by the tutor. Start with your angle on the answer, say how you're going to prove it, and then prove it. There is plenty of advice out there about how to put an essay together. Talk to your tutor. Maybe ask to have a look at other top grade essays from previous students. The people who write sample essays will not necessarily know what's been covered in your class. Your tutor will want to see that you have been paying attention. And then there's the problem of the next essay...what will you do then? Spend more money? The point of university is to encourage independent thought. Paying others to do your legwork renders the whole exercise somewhat pointless. Go through your notes, talk to the tutor and write if yourself. Never pay for an essay.